This is a yoga practice designed for female students of all ages. It includes issues related to fertility, prenatal, postpartum, peri-menopausal, menopause, and the female pelvis. The focus and topics vary according to the issues each class presents. Jennifer has been devoted to the study of yoga for more than twenty years. 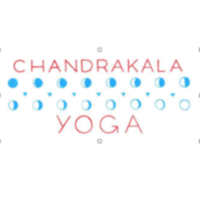 Her teaching is steeped in the personal experiences of her own journey with yoga, and is enriched with her continual self-study and work with her students and their experiences. She teaches out of a desire to share the techniques yoga offers. Jennifer is currently studying with Jasmine Lieb of Liv-INg-yoga, Dr. Dougles Brooks, Srividyalaya, and Genny Kapuler. She is registered with the Yoga Alliance E-RYT 500 and RPYT.